Mark Salvetti joined the Stirling Properties team in 2004 as Senior Project Manager. He has over 30 years of experience in residential and commercial construction and development. 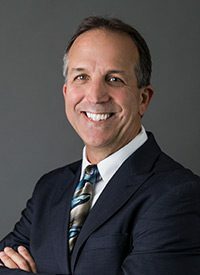 While working within his project management roles in the construction industry, Mr. Salvetti has been involved with the construction of banks, schools, hospitals, churches, retail, industrial, and road projects. His various roles have taken him from minor tenant finish work to a $15 million research facility for Tulane University. Before joining Stirling Properties, he was Director of Construction and Development for Safeguard Self Storage in Metairie, Louisiana, and was instrumental in coordinating development activities in various locations including New York, Chicago, Tampa, Ft. Lauderdale, and Miami. Prior to that, he worked as Senior Project Manager for Carl E. Woodward Inc. (Woodward Design+Build) in New Orleans; Senior Project Manager with MAPP Construction in Baton Rouge; and Project Manager with J.B. Mouton in Lafayette, Louisiana. Mr. Salvetti holds a bachelor’s degree in Construction Management from Louisiana State University. He also holds the designation of Senior Certified Development/Design/Construction Professional (SCDP) from ICSC, as well as a position on the ICSC Centerbuild Steering Committee. He is an avid runner, standup paddler, and photographer/videographer. He combines his hobbies into annual guided surfing trips to Costa Rica with friends. Mr. Salvetti founded the Crawfishman Triathlon in 1983 and has been active in community fundraising for the event—total donations from his race have generated over $100,000 towards local charities and foundations.